Editor’s note: As a writer with a couple of awards and such under my belt, I like to think I know a good deal when I see it and that I have credibility in what I do. But you guys out there shouldn’t have to take my word for anything, cred or not. Obviously you should always do your own due diligence, but sometimes it’d be nice to just get a second opinion on a stock, from someone with no dog in the fight, who sets out to be prickly and tough and fair and come from a place of zero influence. Be tough but fair on companies we put in front of you. Obviously ‘tough but fair’ means different things to different people but, to me, to this site, it means pull no punches, lay out all the pros and cons, and don’t promote. If a company is great, by all means say so, but if they’re middling, or need some tweaks, or are flat out bad, don’t hold back. The first article in this series is about a company called Peekaboo Beans (BEAN.V), a newly listed entity that some have suggested is too early to be public, and others have dismissed as a lifestyle business. I think differently about it, and have said so often, so I was interested in what Braden would say when I unleashed him on the stock. I own the stock. He does not. He did not let us down. Here is the first episode of Second Set of Eyes. One sometimes wonders whether or not the world has passed Venture-stage stock exchanges by. Built originally for growth-phase companies who survive off of liquidity-seeking investors with gambling compulsions, Venture stock exchanges seem like an anachronism in a world of long growth-arcs, where low-revenue, high-growth enterprises are often financed by private venture capital. VC firms never appear starved for liquidity. They exit with a high-dollar IPO or a sale to private equity at maturity. Publicly listed small-caps sometimes seem quaint or even suspicious. The TSX.V is built for resource companies; for early-stage bio-tech and pharma stories who are building a patent portfolio designed for a takeover by a larger company in the same sector looking for accretion. It isn’t often that companies like Peekaboo Beans (BEAN.V) end up on the Venture. The company has regular income from sales. It has a brand with cache and appeal, and it’s well managed by hard-working people with a growing public profile. They’re making attractive revenue projections that seem realistic within the context of their model, and there are parallels within the direct sales model that correlate and make their model realistic. It isn’t often that a company like this is public, not at this early stage, and it’s worth examining why. Peekaboo Beans was started ten years ago by Traci Costa, an engaged and ambitious mother, passionate about her kids and the clothes they wear. She designed clothes that encouraged kids to play and be active. They appealed to modern parents who worry about their kids’ activity levels, and appearance. They were good clothes that become popular, and organic interest carried the company. Small companies have to be careful with their capital, so Costa expanded BEAN through a direct sales model, ensuring that there was plenty of money to be made by successful sales hubs, and none was wasted on overhead with an unidentifiable effect that might prove difficult to cut. 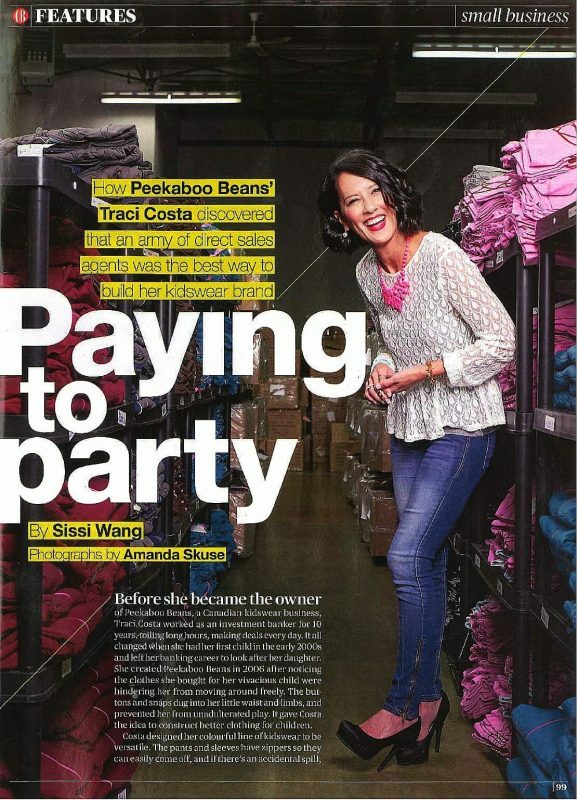 Traci Costa has built an appealing apparel company, that is earning the right kind of media attention. Slowly and methodically, Costa built a network of parents who loved the clothes enough to evangelize for the company. This engaged sales force cared enough to buy sample kits and host parties for the whole neighborhood, moving product and furthering the brand goals at no up-front cost to the company. These families enjoyed the ability to earn income through neighborhood social hours, and so did many of the people who attended. More stay at home moms opened up their own peekaboo-beans operations, becoming company “stylists”. Some were hobbyists looking to entertain, others were ambitious self-starters who saw great appeal in turning one of their biggest expenses – children’s clothing – into a revenue source. Both the casual and the high-volume BEAN sales partners took much of their commission in-kind. Costa and her team have built a positive corporate culture around the passion that parents have for their kids. Her ever-growing sales force of stay-at-home parents continue to save the company the overhead inherent in retail mass-marketing and store overhead. The company provides a back-end sales portal that gives the stylists the tools to do their own marketing and build a personal franchise that they can be proud of. The company tells us that the sales-per-party are among the highest in the direct sales industry. Peekaboo Beans is not the first company built around a direct-sales model, but they’re likely one of the first children’s apparel companies. Previous direct sales successes are famous enough. Amway and Herbalife are among the most recognizable, but more obscure names have also achieved enormous valuations from humble beginnings. Cookware seller The Pampered Chef started as a direct-sales company and was valued at $900M at the time of its takeover by Berkshire Hathaway. It continues to operate under that model and grow as part of Berkshire. Warren Buffet figures prominently in Peekaboo Beans’ investor deck, and why not? He understands business and has ever been the champion of growth through low-overhead models with high scalability. New “stores” open themselves and pay their own expenses in the direct revenue model. 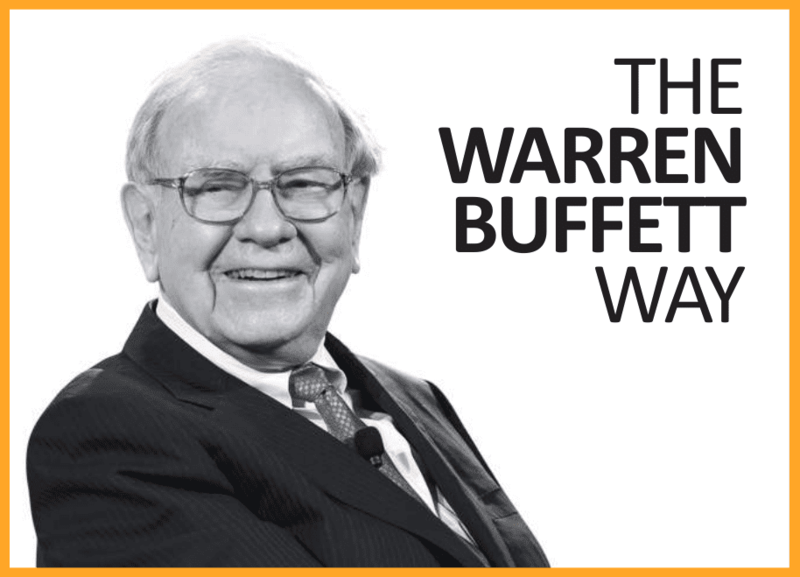 Buffet knows value and has an uncanny ability to make it show up in an equity by explaining it. People listen to him and pay attention to what he does; just like Traci Costa. Costa’s network of 850 (and growing) Peekaboo Bean stylists has only begun to reach into Eastern Canada. These people have a clear respect and admiration for Traci, and the business that she’s built. They believe in its growth because her own belief is infectious. Through the same attitude that leads CEOs like Buffet to take $1 salaries and fly coach, Costa has taken BEAN public partly to give her stylists an equity stake in the business they’re fueling. After the dust settled from an RTO and a rollback, the company’s sales reps own about 900,000 of the 6.8M outstanding shares. BEAN reported in a press release that the business achieved sales of $3.5M, in 2015 (year end Sep 30). They’ve yet to file audited financial statements, so we don’t yet know what that means in terms of pre-tax earnings, but the company has no debt and is proud of being able to keep overhead low. Projected growth of BEAN’s network of stylists, sales costs and operating costs. It’s tough to find peers for BEAN, but mature direct sales companies like Herbalife (NYSE:HLF) and Tupperware (NYSE:TUP) trade around a 15 price to earnings multiple. Fellow TSX.V growth company Immunotec (TSX.V:IMM) trades around a 7 PE. It will be interesting to see what kind of valuation BEAN ends up with should the $3.5M in sales produce a cash positive earnings cycle. Peekaboo Beans’ size alone could make an efficient market valuation difficult. The market isn’t used to small-cap companies with earnings multiples and no debt, so it might be that it takes a few consecutive quarters of growth for the market to get in line. This is also a very tightly held issue, with 4M of the 6.5M being held by directors and insiders – ostensibly true believers. That can make it difficult for institutions to get a meaningful position in the open market, but at this market cap they aren’t likely to be interested in any case. Nonetheless, without a whole lot of stock to be traded (there is an estimated 300,000 shares in the float), chances are it will trade erratically. BEAN is a bet on the viability of the model and the growth inherent in Costa and her team’s execution. Should they be able to successfully compete in the $2B/ month Canadian children’s clothing market, then expand into the $15+B/ month US children’s clothing market, that growth could be very substantial. Trying to realize that growth in a public market is unconventional by today’s standards, but it somehow seems right. There is a certain amount of transparency that comes with public listings, and Traci Costa runs a transparent kind of operation. Low cost models are inherently competitive and, based only on a brief talk with Ms. Costa, she’s the type of person who would relish announcing quarter after quarter of earnings growth to legions of happy stylists and investors. Success is infectious and consumers are prone to buying things that empower them – that goes for their investments too. Consumer-facing businesses find stock market success all of the time, because retail investors find it easier understand those businesses. 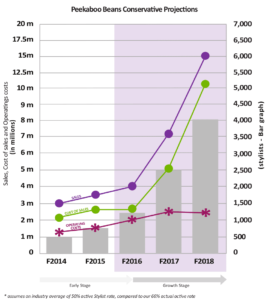 Lululemon (NYSE:LLL) is case in point, and there is definitely shades of LLL’s ongoing story in BEAN. 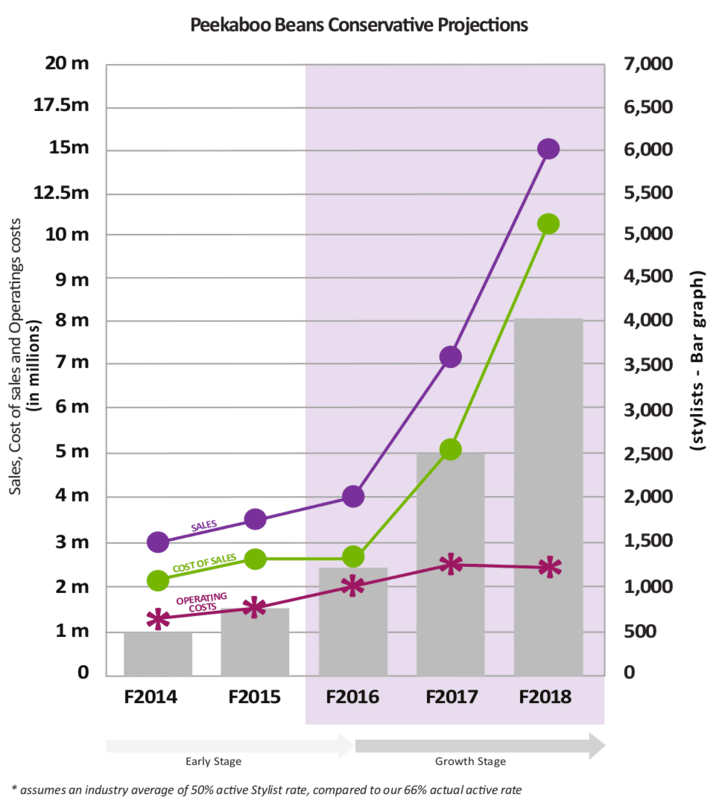 Revenue generating businesses are often darlings of the private equity world, and it doesn’t seem far-fetched that private equity might one day be interested in adding Peekaboo Beans to their portfolio, in a scenario where the company scales and the growth bears out. The easiest and cheapest way to achieve that might be for them to back the company with private financing rounds until they have a majority position. By setting the company up in a public issue at this early stage, Costa is giving the company an opportunity to ensure that any suitor down the road pays full value for it. She’s confident in her ability to impart the unique value of this equity on market participants, making sure that every cent of earnings is reflected in the equity and there’s something appealing about that. Right now BEAN, as a $5M company, seems too small for even the TSX.V. That said, if Traci Costa gets her way, the TSX.V may soon be too small for BEAN.